1000 Pieces Puzzle is an international exchange programme presented by Cindy Claes Productions and Zinnema in partnership with East London Dance. Created in 2014 by dance backpacker and ADAD Trailblazer 2013-14 Cindy Claes, 1000 Pieces Puzzle is a unique professional development opportunity for dance artists offering two creative residencies in London and Brussels. 30 artists (14 from UK, 14 from Belgium and 2 international) spend 12 days working together to explore workshops in technique, choreography, dance film and collaboration as well as developing entrepreneurial and leadership skills. The programme is divided up between the UK and Belgium with all the artists spending 6 days in Brussels and 6 days in London. At the end of the 12 days, artists will share work that has been created through the residencies. The programme is led by Cindy Claes who is joined by an eclectic mix of some of the most exciting artists working in dance today in both Belgium and the UK. Brussels-based venue Zinnema is an experiemental organisation where talent and values are challenged to evolve and inspire. It is a professional home for creative projects, and a platform for collaboration and artists development. 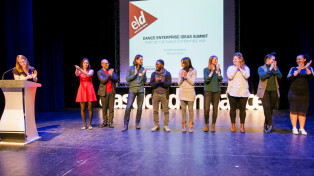 1000 Pieces Puzzle is presented as part of the Dance Enterprise Hub, a programme of skills development, creative incubation for new ideas, start-up funding and mentoring to enable dance artists to establish sustainable and successful creative business and/or careers. Supported by Erasmus+. 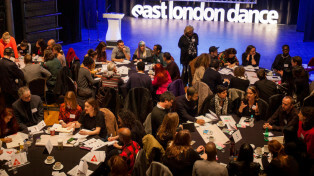 Rich Mix, Scanners Inc, Foundation for FutureLondon and Arts Council England. 30 dance artists from Belgium and the UK with backgrounds in Afrobeats, Dancehall, Krump, House and Hip Hop, showcase works in progress devised during creative residencies in London and Brussels.